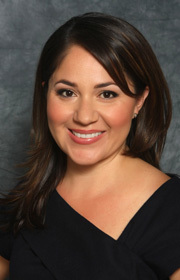 Ms. García Guillén has been a commercial litigator for over 15 years. She specializes in general business litigation with experience in various jurisdictions across the United States and internationally. Her litigation experience centers around complex breach of contract and business tort claims, breach of fiduciary duty, as well as unfair competition, partnership disputes, corporate governance, consumer defense and securities disputes. As a business litigator, Norma has successfully tried complex civil cases, most recently obtaining a $2.7 million dollar judgment at trial. Ms. García Guillén has litigated matters in both state and federal courts, and international ADR panels. She has extensive experience in mediation and arbitration. Prior to founding Garcia Rainey Blank & Bowerbank LLP, Ms. García Guillén was an associate at Sheppard Mullin Richter & Hampton LLP where she co-chaired the Latin American Practice Group. Ms. García Guillén is fluent in Spanish.